There are a few additions to the aggressively designed RX for 2018, which includes a long-wheel base model that seats up to seven passengers.? 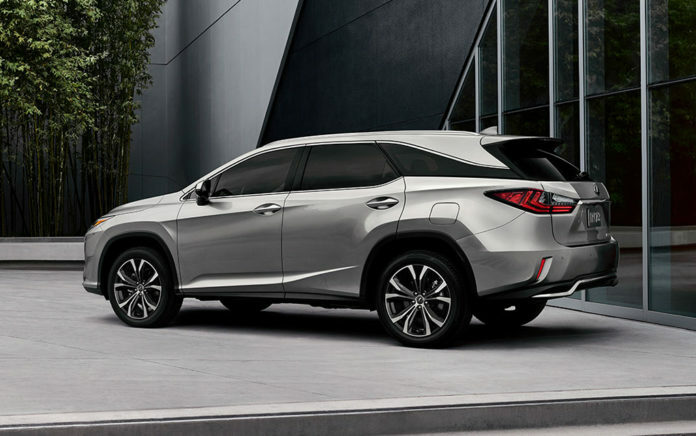 Lexus also extended the complimentary subscription to the Lexus Inform Safety and Service Connect, from one year to ten years. The 2018 RX350 comes standard in front-wheel drive and all-wheel drive is optional. It?s powered by a 295 horsepower, 24-valve V-6, which is paired with an eight-speed automatic transmission. A long-wheel base RX350L is available with seven seats. The 2018 RX450h hybrid also offers a long-wheel base model with the RX450L. I test drove the RX350 AWD with the F Sports package, which ?has a more aggressive design and 20-inch wheels. The Lexus RX350 has a choice of 11 scratch-resistant self-restoring colors, which uses a high-performance macromolecular polymer. Don?t ask me what color the test vehicle was? It was Nightfall Mica and beautiful.